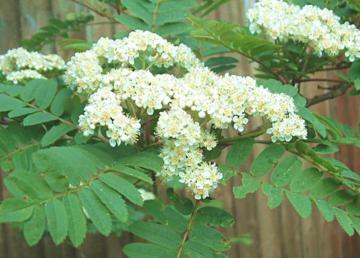 Attractive small tree with ferny pinnate, toothed leaves. 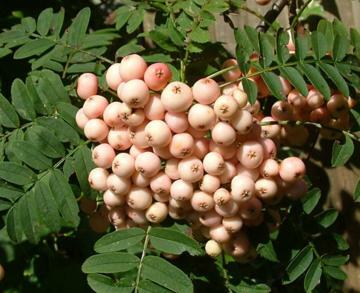 White flowers in late spring followed by large clusters of deep pink berries in late summer and autumn. Raised by Alf Alford at Hilliers in 1958.